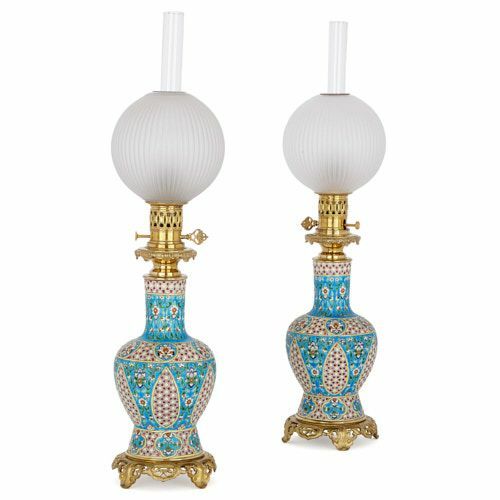 These 19th Century, ormolu-mounted faience oil lamps are strikingly modern in their design, and will suit a contemporary interior, as well as an antique one. 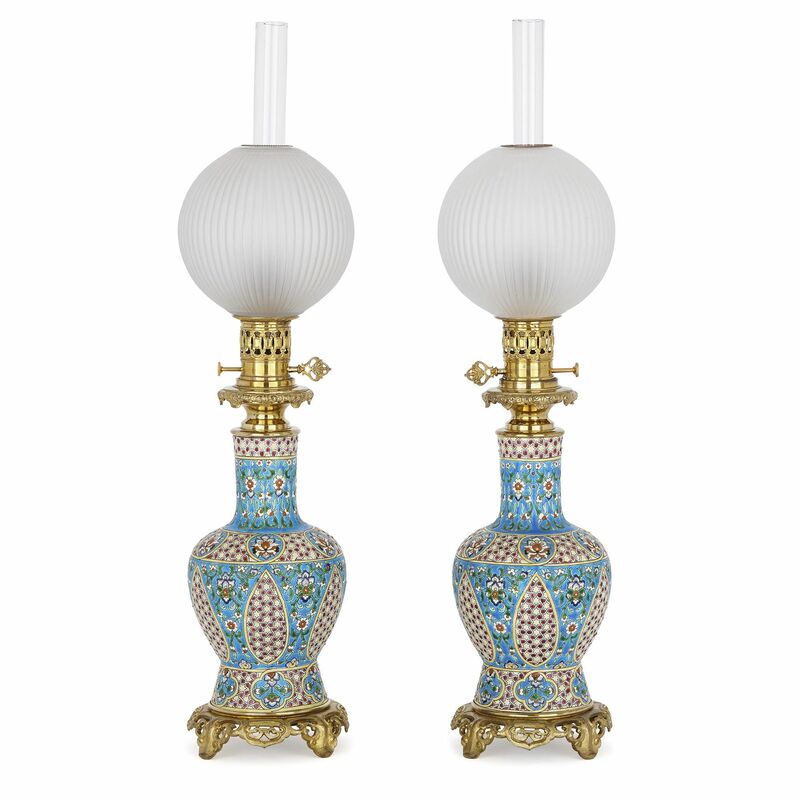 The lamps stand on pierced ormolu bases, each set on four feet. 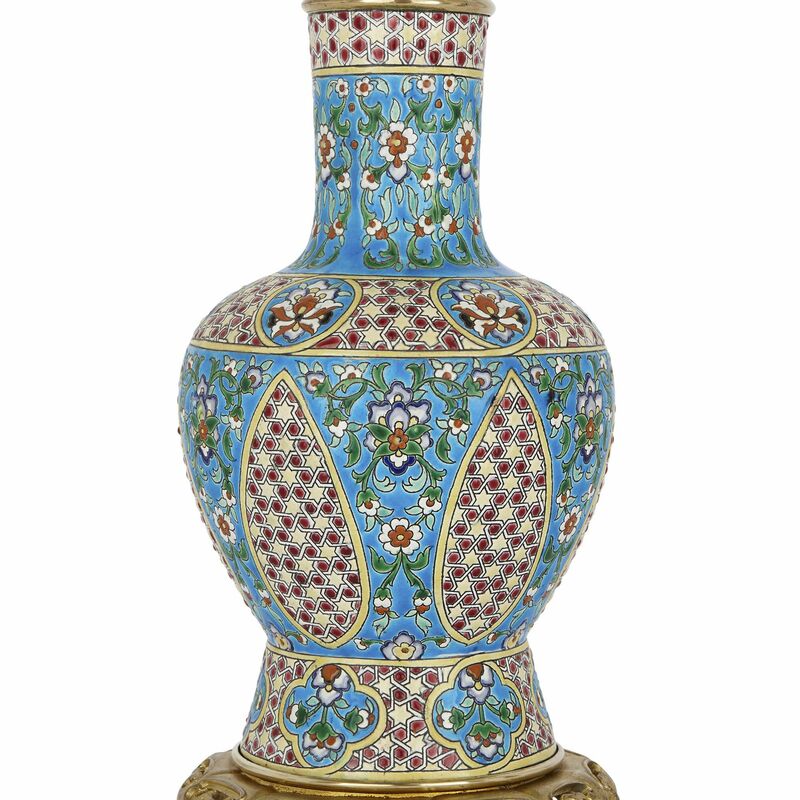 Their vase-form bodies have been crafted from faience (tin glazed pottery), and are beautifully decorated with yellow stars and red geometric forms, as well as green, navy, orange and white foliate motifs against a turquoise ground. These designs are enclosed within quatrefoils, teardrop shapes, medallions, and bands. The vase-form bodies are topped by ormolu collars, wick raiser knobs, and burners. 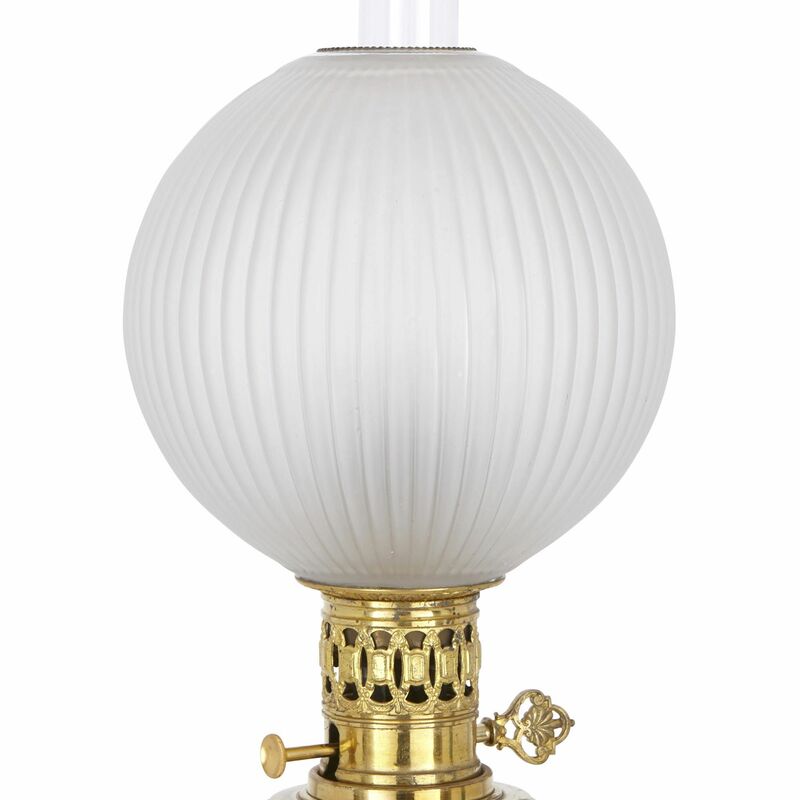 These are covered by fluted opaque glass ball shades, and tall clear glass lamp chimneys. ‘V C’ is stamped onto the lamps. 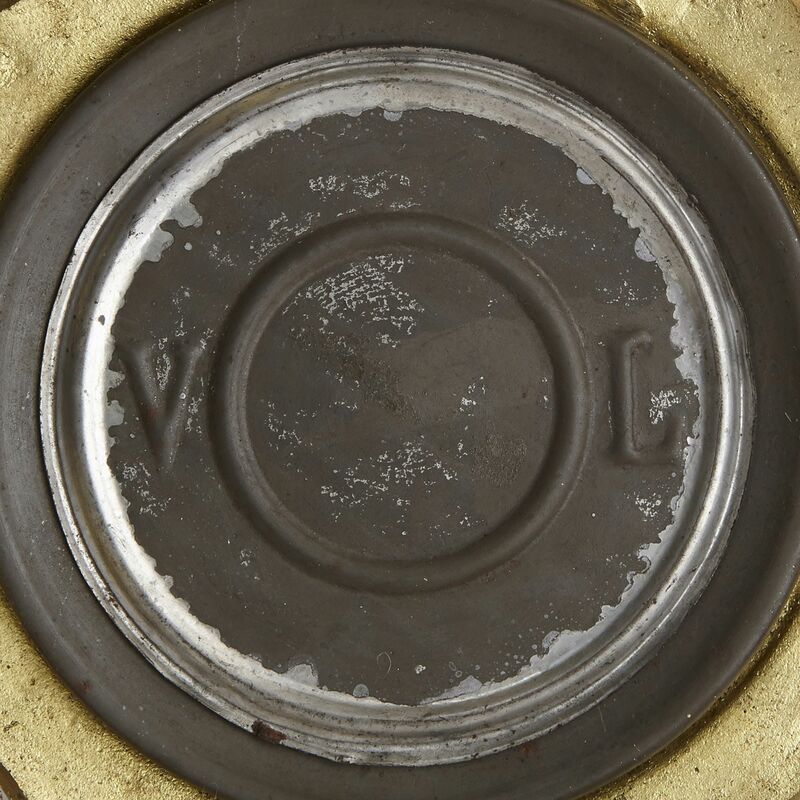 This is most likely the mark for Vieillard & Cie, the famous earthenware company, based in Bordeaux in the 19th Century. The factory was founded by Jules Vieillard in the mid-19th Century, and was directed by him until his death in 1868. Vieillard & Cie was then inherited by Jules’ two sons, Albert and Charles, who managed the company until it closed in 1895. 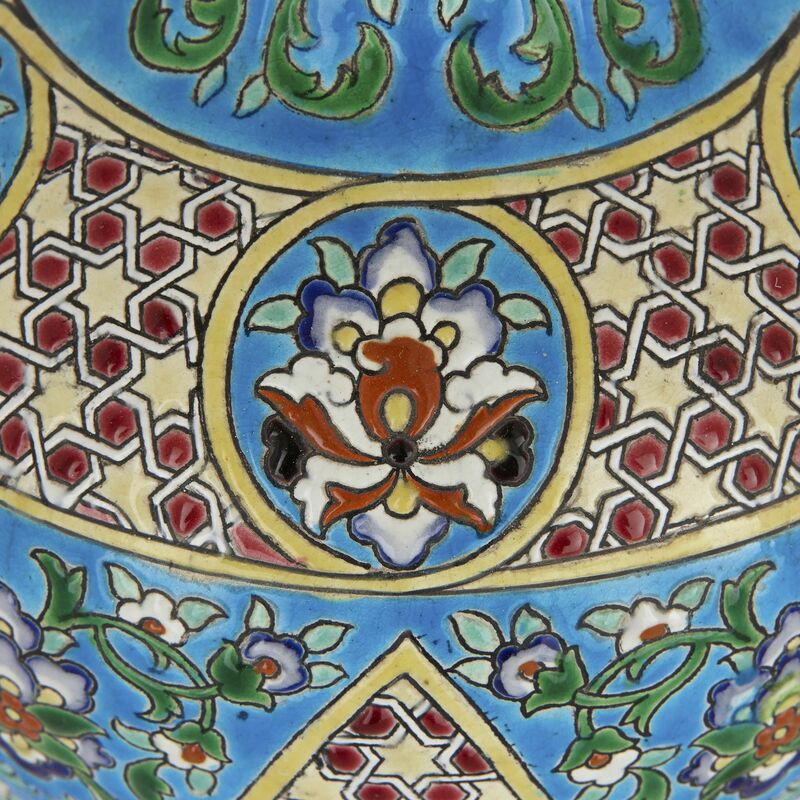 In the 18th and 19th Centuries, Bordeaux was an important centre of faience production. 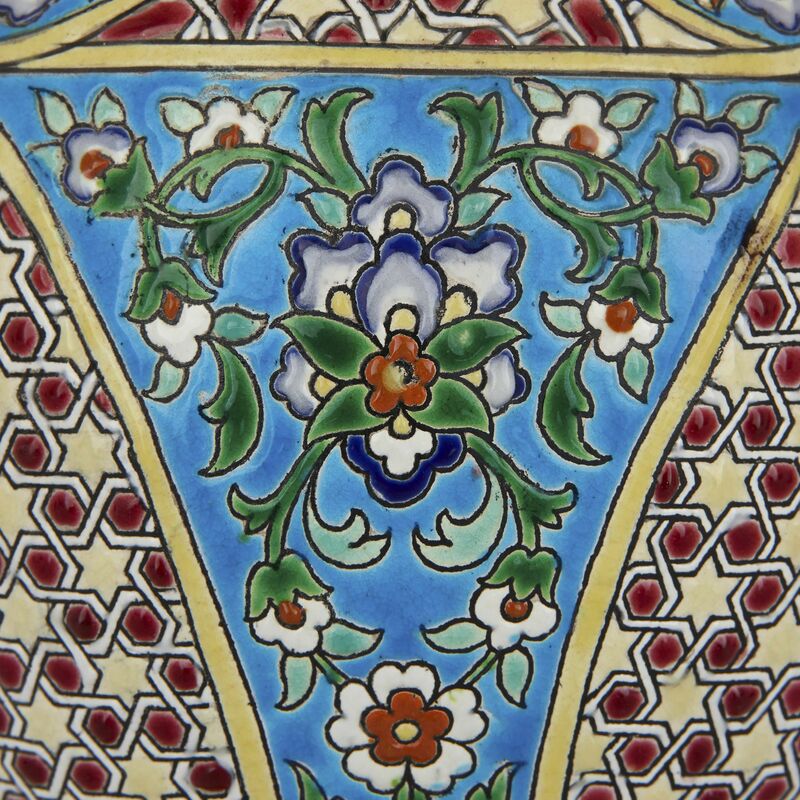 In their decoration, Boredeaux pottery wares were often influenced by Persian, Japanese or Chinese, as well as regional, styles.